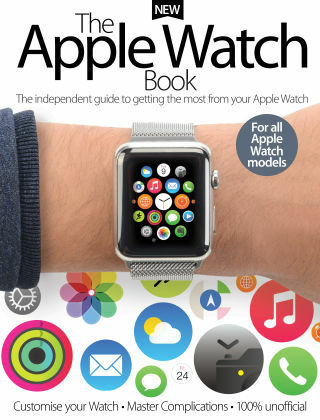 With Readly you can read The Apple Watch Book and thousands of other magazines on your tablet and smartphone. Get access to all with just one subscription. New releases and back issues – all included. If you’ve just unwrapped your brand new Apple Watch, or if you’re looking to get more from the device, you’ll find a wealth of hints, tips and tutorials here to help you. You’ll discover how to set up the Watch face just the way you want it, whether that’s a simple interface that puts the time at the fore, or lots of helpful information at a glance. We’ll show you how to use your Watch to improve every single day, whether it’s monitoring your fitness with the Activity app, or simply reaching out to your loved ones with a call, text or picture. You’ll also find out what exciting improvements have been implemented for the recently-released watchOS 2. Featuring: How Apple Watch will change your life - Discover everyday uses for your new wearable technology. Introducing watchOS 2 - Find out about the improvements have made to the operating system. Native app tutorials - From the main clock face to Siri and Maps, get to know all of the Apple apps. Third-party apps - Discover the best the App Store has to offer for your Watch.